Rustic barn weddings have seen an uptick in popularity over the past few years, and the trend shows no sign of slowing anytime soon. Wedding barns boast a timeless and classic aesthetic, making them the perfect setting for a post-ceremony reception. With more and more soon-to-be newlyweds opting for outdoor settings with natural scenic backdrops, investing in a wedding and event barn for any scenic property is a great business opportunity. Between weddings, family reunions and other special gatherings, there will always be clients in search of an event barn to enjoy. Oftentimes the idea of a barn calls to mind imagery of livestock, cowboy hats and hands-on dirty work, but the barn aesthetic itself is rather well suited for elegance. 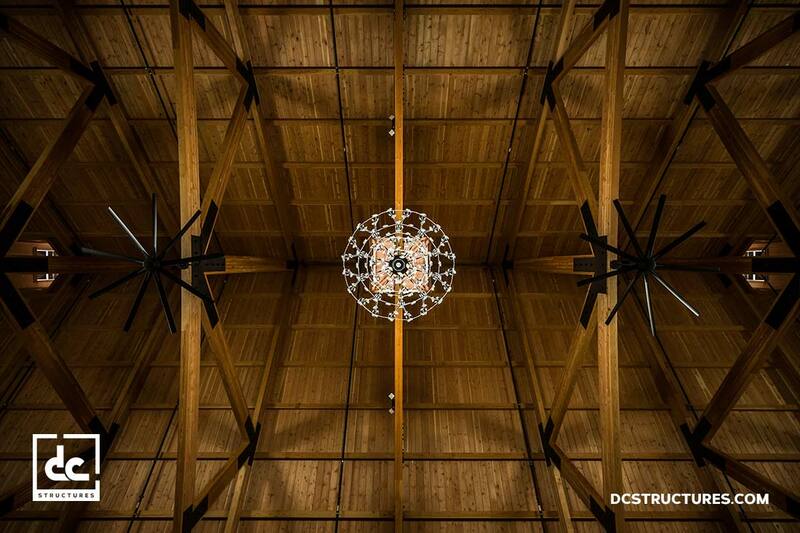 Custom wood wedding barns that are designed with a commitment to structural longevity and quality craftsmanship make for smart long-term investments—especially when utilized for both weddings and other events. 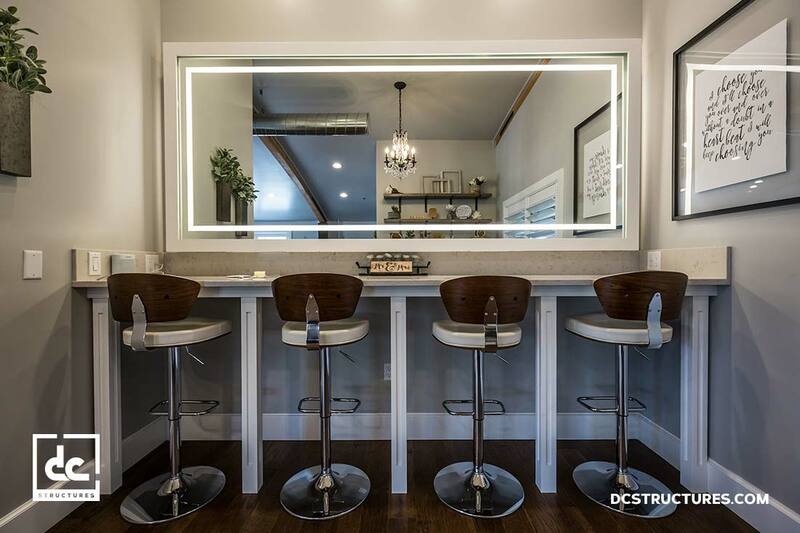 More so, they provide a unique opportunity to design a space that will make lasting impressions on both the betrothed and their many guests. Barns are best assembled when designed in the reliable building method of timber-frame or post-and-beam construction. 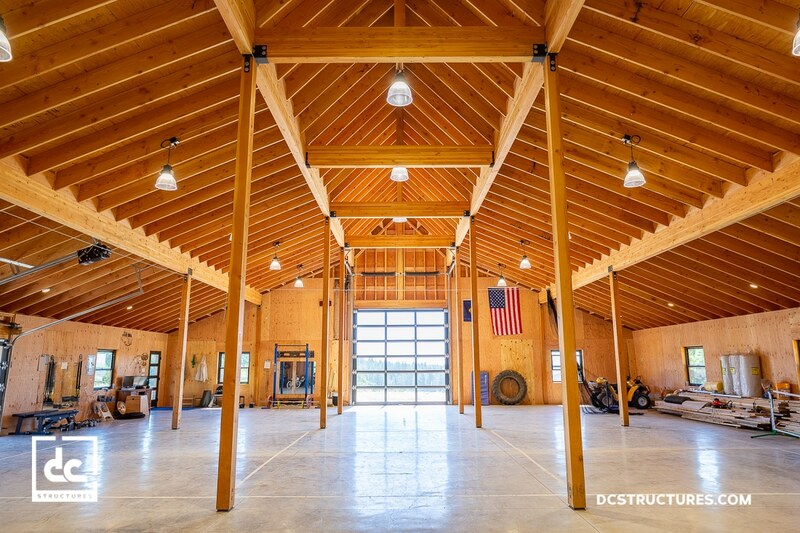 The benefits of having a wedding barn designed with this construction style is that it will be around for generations to come if given proper attention and upkeep over time. In fact, post-and-beam buildings are often the few buildings to remain standing in the wake of a natural disaster. Further, these kinds of structures rely on the use of large heavy timbers, which allow for high ceilings and sweeping, open-concept interiors. 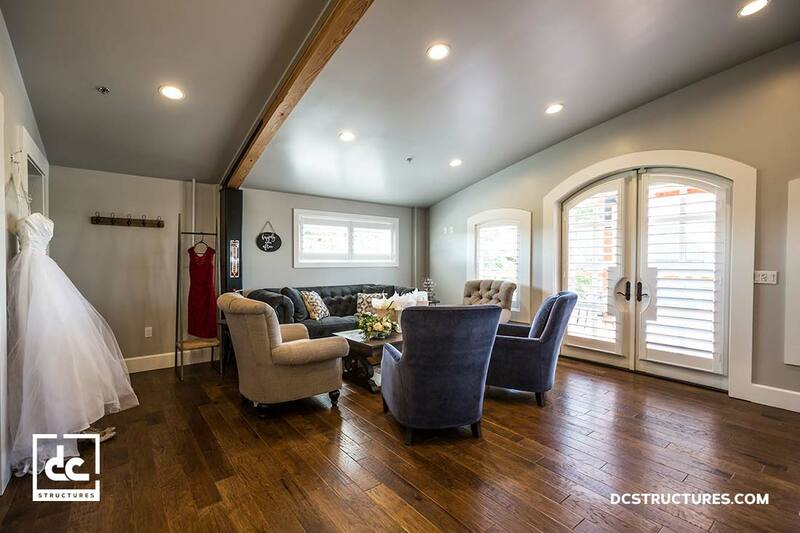 This dramatically open inside space lends itself wonderfully to an elegant atmosphere that is perfect for a day of “I dos” with family and friends. We’ve had several inquiries from property or business owners wanting to know what it would take to convert an old barn into a wedding and event venue. While this is certainly possible, it can be an incredibly costly and painstaking process depending on the state of the existing barn. Hidden expenses in the form of fumigation and re-engineering fees are inevitable, and will often end up running a higher bill than a brand new wedding and event barn would. 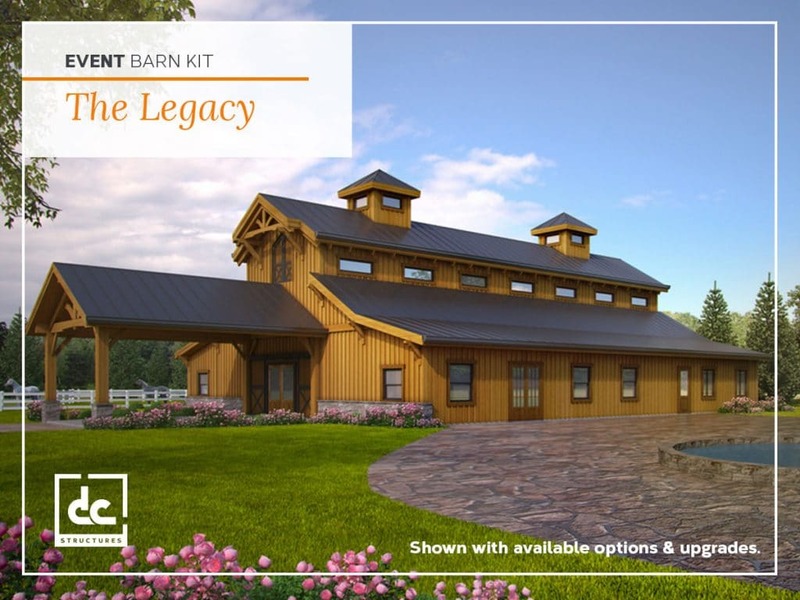 Unless the barn was built to a high standard and has gone relatively unweathered over the years, chances are high that a new pre-engineered materials package will make for a better price point. 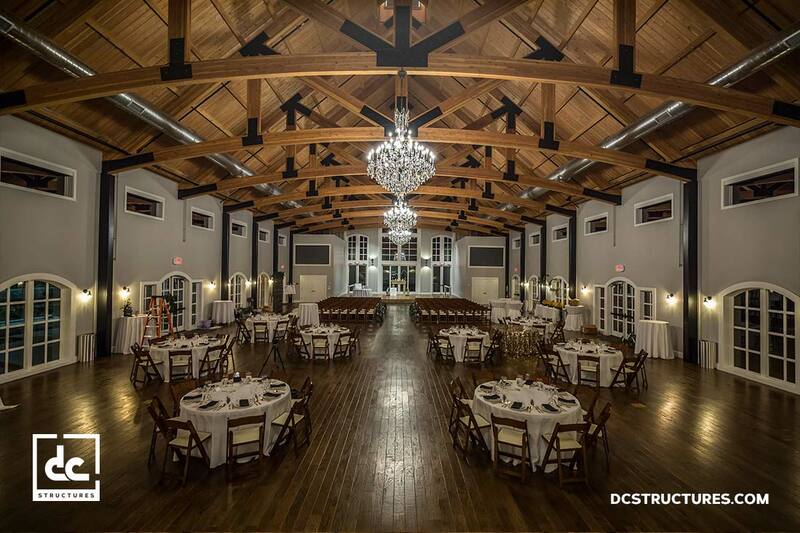 DC Structures designs and assembles top-of-the-line wedding barn kits that are easily adapted to meet the client’s vision. It might sound counterintuitive, but pre-engineered building kits are neither inherently cookie-cutter nor blasé. 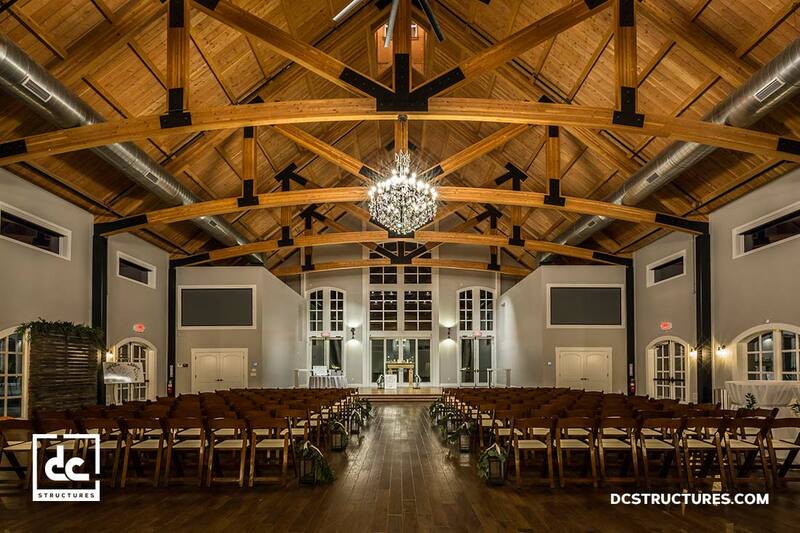 DC Structures has never designed two buildings that look alike, and our wedding barn kit projects are a wonderful example of the ways in which we help all of our clients’ originality shine. Our wedding barn customers are visionaries with sharp business acumen who take pride in the work that their names are attached to. That’s why we’ve worked hard to develop and refine a design process that places high value on client collaboration, so we can truly get to the heart of their wedding barn ideas. Our streamlined process is a joint effort between the client and our project management team. 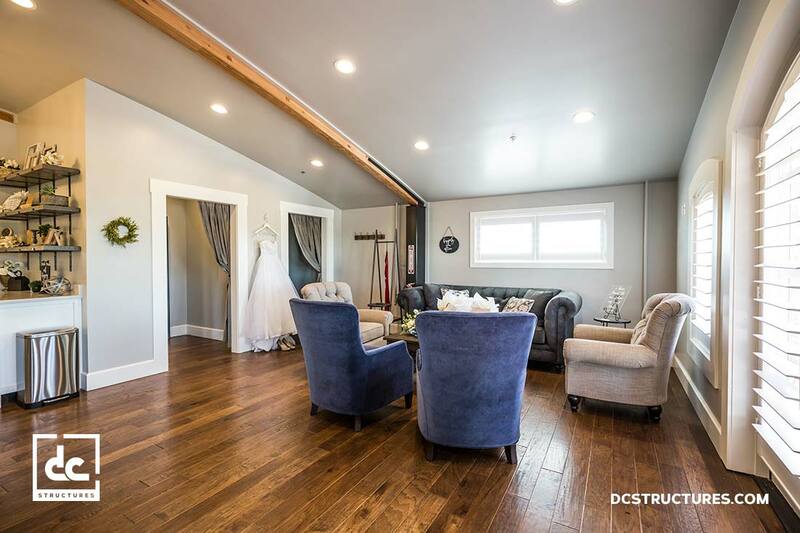 We walk our customers through the process of selecting a wedding barn kit model, modifying it to the client’s specifications, and personalizing it through our comprehensive selection of options and upgrades. For clients who like our standard models but wish to make structural adjustments to them—including changes to building height or width, removal of posts and custom add-ons—we also offer a flexible design option. 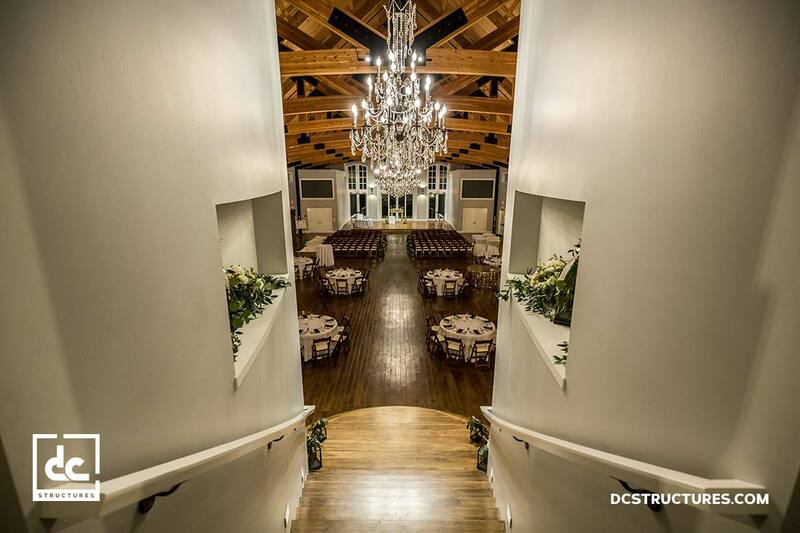 DC Structures is committed to providing quality products and services at every step of the way. When customers choose us as their wedding barn design partner, we engage them in a process that values one-on-one customer service and impeccable craftsmanship above all else. 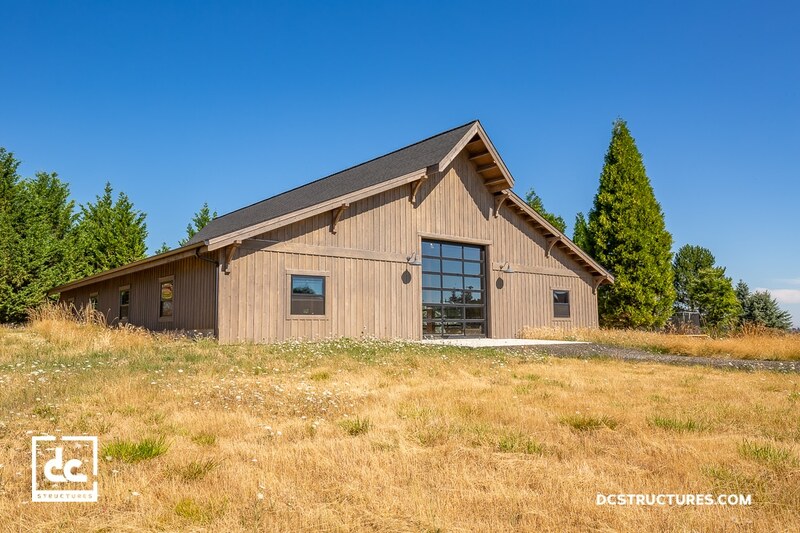 Our post-and-beam wedding and event barn kits are comprised of the highest quality materials we can find, including select-grade heavy timbers from the Pacific Northwest. 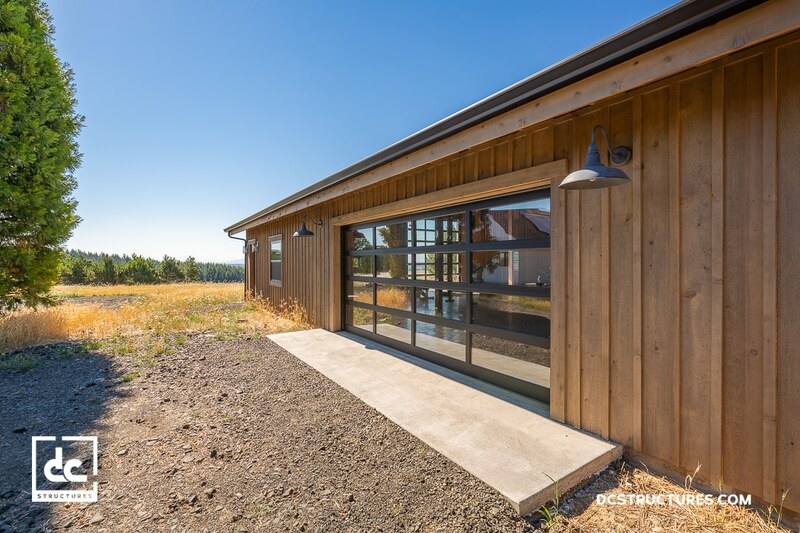 With our headquarters located in the heart of the West Coast’s thriving timber industry, we benefit from meaningful mill-direct relationships that allow us to pass great deals on lumber along to our clients. The cost to build a barn for weddings isn’t always cheap, but we work to keep costs as low as possible. In addition to the quality materials we source, our quality promise entails going above and beyond to ensure our clients have everything they need to make their wedding barn project successful. From helping them plan for an event barn to offering tips for event business promotion based on our prior experience with other wedding barn clients, our team is all hands on deck. Further, we stay in touch throughout the duration of our customers’ wedding barn builds to provide builder support to their chosen contractors—just to make sure everything comes together without incident. We understand that the decision to elevate a business with a new barn event venue is an important one, which means it should be done right the first time. The possibilities for wedding barn floor plans are as endless as the imagination will venture to create. While most of our standard kit models could easily be adapted to suit the client’s vision for their event barn plans, we offer one kit in particular that is well suited for the job. 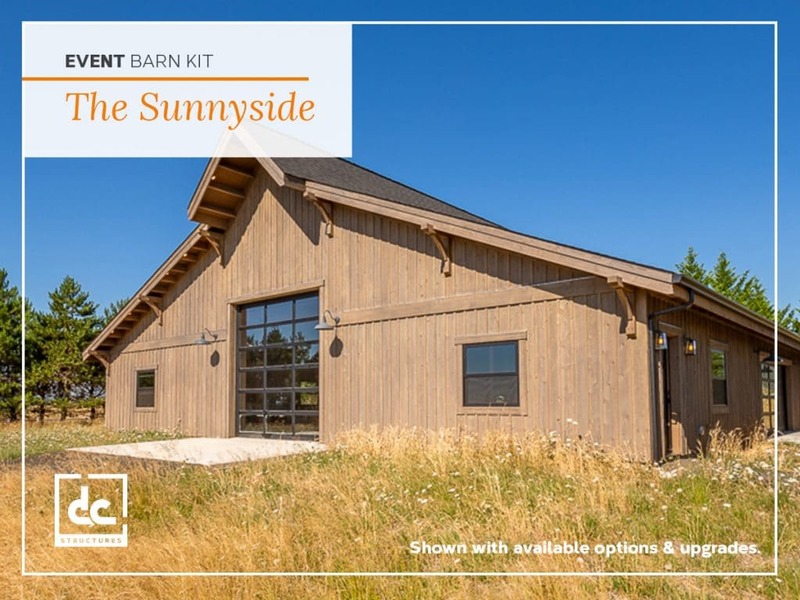 The Sunnyside wedding barn kit is a classic barn design with incredible functionality for hosting large events. We allow our clients to drive the process in terms of what their wedding barn kits entail, whether it’s a wide open space or a full-service wedding venue replete with bridal quarters, prep kitchen, bar and more. However the wedding barn blueprints come together, this kit will lend itself to a cheery and open interior that family and friends will never forget. When our customers take a risk to build their event business with a wedding barn venue, they should know their design partner is trustworthy. 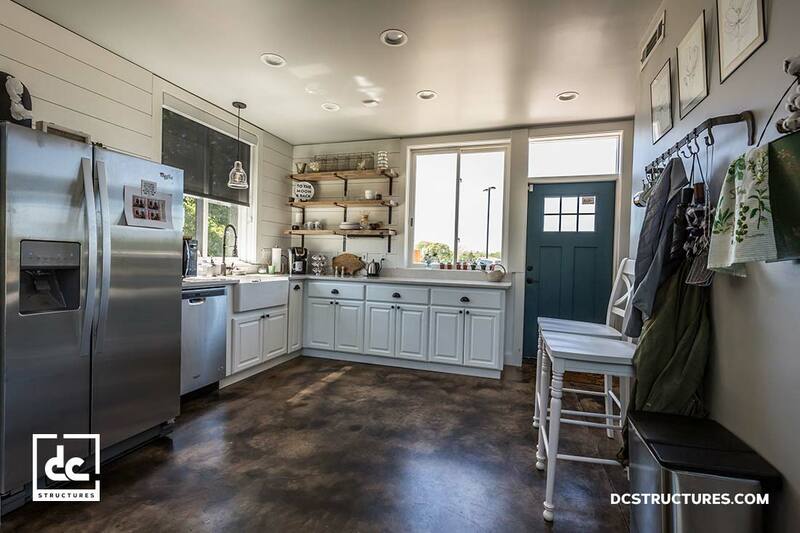 The DC difference is something we take great pride in, as we understand what’s at stake when clients approach us for help with an idea for a project. By truly listening to our customers we are better able to get to the heart of their wedding and event barn vision, thus allowing us to translate that vision into concrete plans that will help to grow their business. We offer the same level of service that we’d expect if undergoing our own wedding barn kit design. If you’re ready to take your business to the next level with a quality event barn, download our digital catalog to start imagining the possibilities. Or, if you already have some ideas and are ready to get started, request a free quote today! 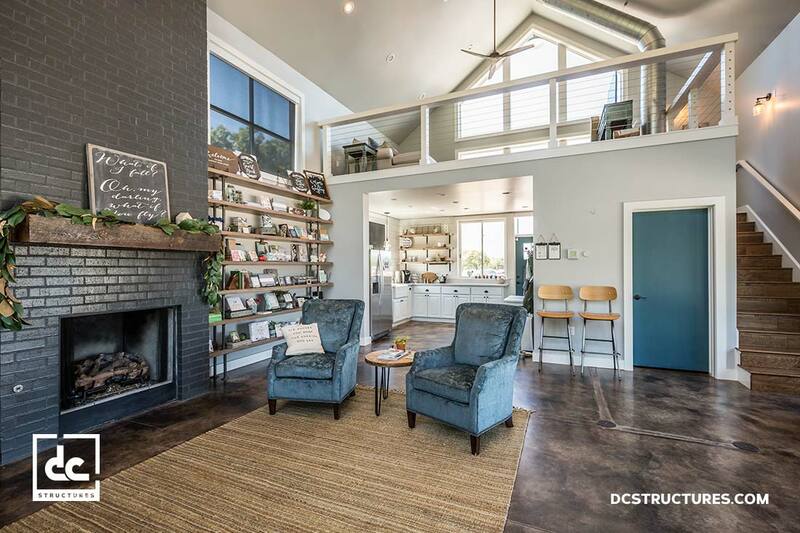 Start planning the barn home or apartment barn of your dreams with the latest DC Structures product catalog, containing loads of information on pricing, materials, options and upgrades, photos, videos and more.